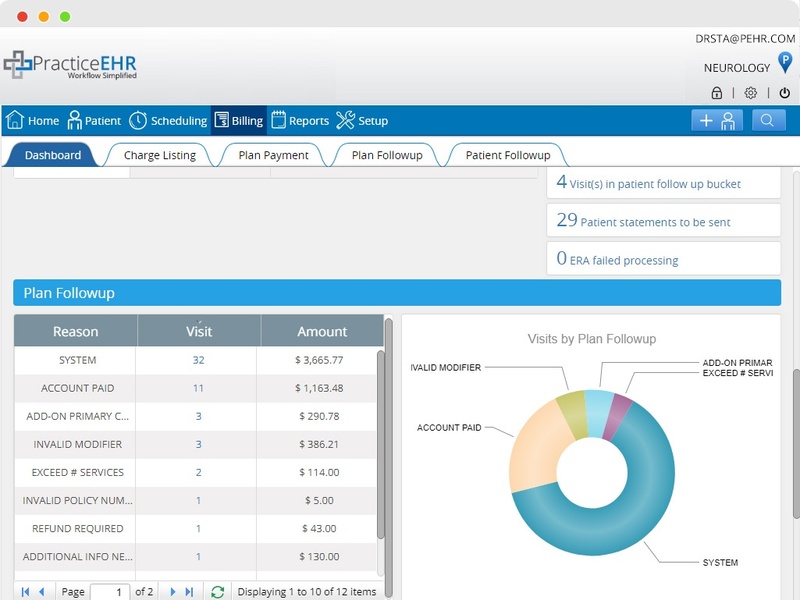 Practice EHR practice management provides all the tools needed to simplify and automate the process of denial management and ensure quick payments. Follow-up on accepted, rejected, and overdue claims quickly and easily. Automatically categorize your denied claims for correction and resubmission.